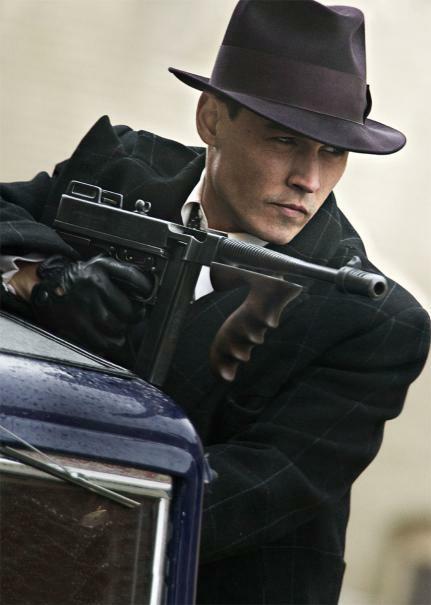 It was interesting that I finished To Have and Have Not last night, immediately after seeing the new Johnny Depp movie Public Enemies, a movie about John Dillinger, Baby Face Nelson, and Pretty Boy Floyd. The web site Rotten Tomatoes gives Depp’s movie a 65% fresh rating, which is about right. Maybe even a little generous. What is it with directors these days who use much-too-close shots, jerky, hand-held cinematography, and kinetics in place of characters? Michael Mann has been around long enough to know better. Yet, he fell into the same trap The Taking of Pelham 1-2-3 director Tony Scott fell into (head first!) when he re-made the classic 1974 original. The 2009 version was nearly unwatchable it was so hyper-kinetic. I hate movies like that. I knew the Johnny Depp movie was about a 1930s gangster and bank robberies. I knew Dillinger met his end outside the Biograph Theater in Chicago after watching the Clark Gable movie Manhattan Melodrama. I knew there would be lots of Thompson machine gun action in the Dillinger movie. And I knew the dramatic irony of knowing Dillinger’s end (when he did not) would result in me leaving the theater somewhat sad. What I didn’t know was that Hemingway’s novel To Have and Have Not would take a Dillinger-type turn — complete with Thompson machine guns, a bank robbery, bullet-sprayed deaths, and a feeling of sadness at the book’s last page. Yes, believe it or not, To Have and Have Not was another sad Hemingway novel, with a main character dying in the end. This time, it’s Harry Morgan who bites it. Like the man’s wife at the end of A Farewell to Arms, Harry dies in the hospital after an operation to save his life. Only it wasn’t childbirth that did him in (obviously). 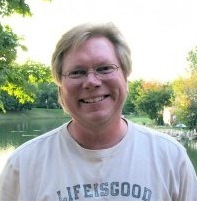 It was being shot in the stomach by the bank robbers he agreed to transport via boat. And there you have it. Even when his character is incoherent and close to death he still manages to impart a kind of twisted wisdom, which also happens to be the underlying theme of the book: Life is futile. The cards are stacked against you. So why bother? I’m beginning to see why Hemingway struggled with alcoholism and eventually took his own life. Hemingway saw life, experienced way too much of it, and couldn’t handle it. Thanks I enjoyed your writeup! Without knowing the book’s depth of detail about the character, it sounds like Harry might have gotten involved with bank robbers knowing how dangerous it would be and it could be a possible way for him to die. Like some people are thrill-seekers for the sake of the thrill, but there are also others that are looking for a way out (sometimes unconciously) and therefore get involved with risky ventures. Not sure if that applies to Harry or if he was just unlucky, but he sounds like a glass half-empty type of dude. I didn’t see Public Enemies movie yet, but I was watching Caprica (pre-quel to Battlestar Galactica) and the Taurons (based off the Taurus sign, the 12 colonies all have astrology-based names) are a planet of gangsters. I was like, enough already with these gangsters, they’re everywhere! But then again I want to see the Harry Potter movie next week and that story has its own magical form of gangsters (Death Eaters) whom I find more interesting that the Order of the Phoenix (good guys). Thanks for stopping by, Caroline. That’s not a bad theory about Harry. He had a wife and three daughters, through. His wife loved him dearly. In her eyes, he could do no wrong. She warned him about taking the job transporting the Cubans. She thought nothing good would come of it. Harry, not knowing ahead of time what the job entailed, prepared for it by stowing a machine gun in a hidey hole. So he must have suspected it was going to be dangerous. I think Harry, by that point in the book, had become depressed by life. His boat had been confiscated. He lost his arm. He had no prospects for gainful employment. So he was desperate. That’s why he risked the job transporting the Cubans, even though he knew it might turn out badly. But, still, he may have felt hopeless and in need of a thrill to give his dreary life meaning. desperation. exactly. the book was so saturated with desperation and misery… i loved it! haha. the intensity drew me in and wouldn’t let me go. maybe intensity isn’t the right word, but it’s all i can come up with for now. so gritty. looking forward to my next hemingway piece.